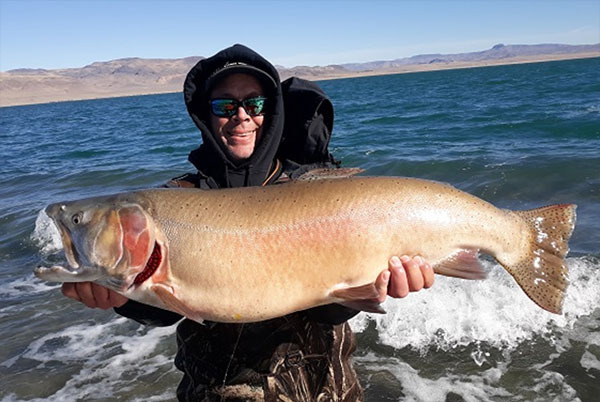 Adam Garcia caught and released this giant cutthroat trout (Oncorhynchus clarki) on November 11, 2018 while fishing Pyramid Lake, Nevada. Measuring out to an impressive 85 centimeters in length, Garcia’s catch qualifies him for the potential new All-Tackle Length world record which currently stands at 81 centimeters. 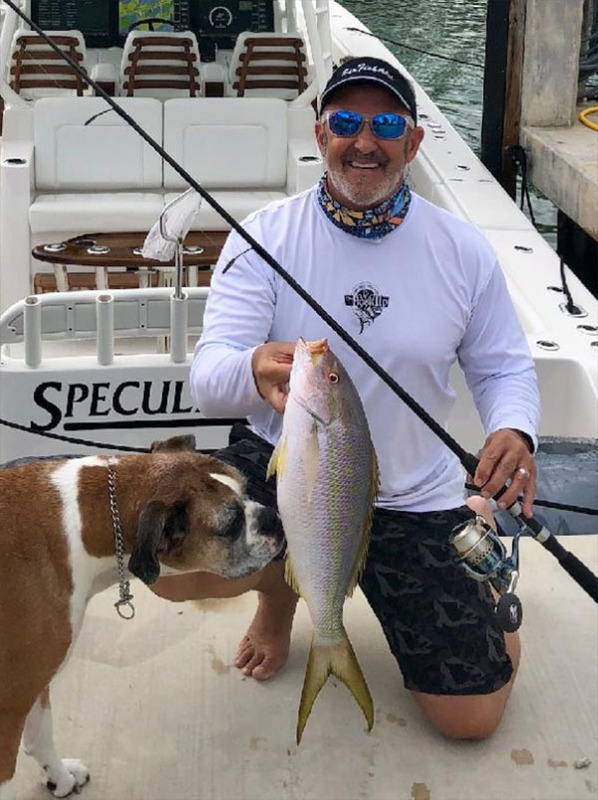 On November 22, 2018, angler Chip Constantini potentially set the new men’s 1 kg (2 lb) line class world record for yellowtail snapper (Ocyurus chrysurus) with this 2.15-kilogram (4-pound, 12-ounce) fish that he caught while fishing off Key Colony Beach, Florida. Costantini skillfully played the snapper for nearly 20 minutes on his ultra-light line before he could land the fish. If approved, the catch will replace the current record of 1.02 kilograms (2 pounds, 4 ounces). 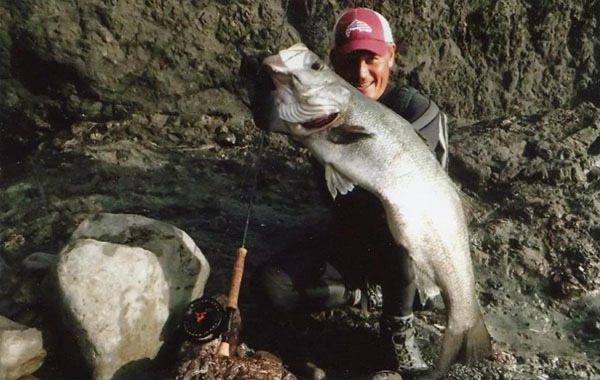 Japanese angler Takeshi Ihara potentially set the new men’s 10 kg (20 lb) tippet class world record for blackfin seabss (Lateolabrax latus) with this impressive 6.10-kilogram (13-pound, 7-ounce) fish that he caught while fly fishing from the shoreline of Tokushima, Japan on October 7, 2018. Ihara needed only 10 minutes to land the fish after it hit the streamer pattern fly he was casting. If approved, the catch will replace the existing record which stands at 5.25 kilograms (11 pounds, 9 ounces). Aussie angler Daniel McCoy caught and released this impressive 4.45-kilogram (9-pound, 12-ounce) Australian bass (Macquaria novemaculeata) on August 18, 2018 while fishing Lake Somerset located in Queensland, Australia. McCoy played the fish for 15 minutes on 6-pound test line after it hit the lure he was casting. 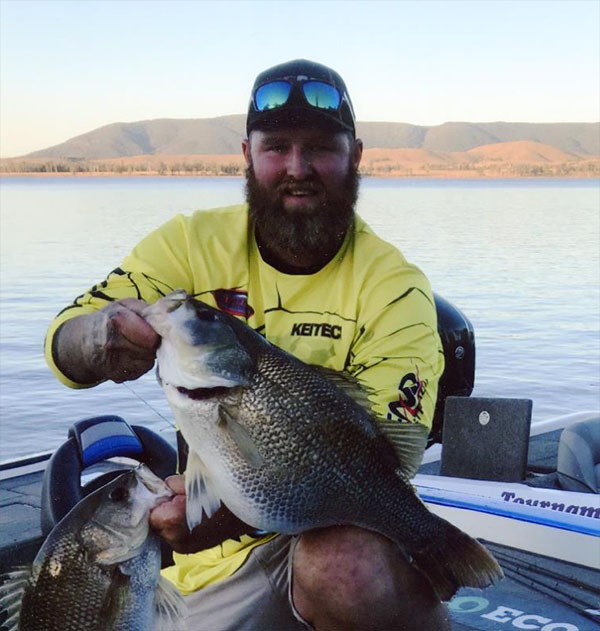 If approved, McCoy’s fish will be the biggest Australian bass ever recorded by the IGFA, therefore qualifying it for the All-Tackle record which currently stands at 3.75 kilograms (8 pounds, 4 ounces).